Abstract—This paper proposes an analysis of two-factor authentication protocol for a USB storage device used in digital forensic applications. The authentication protocol used in the verification is implemented by using two factor authentication technique in order to strengthen a protection of sensitive digital evidence stored in a USB storage device. By using Coloured Petri Nets as a formal tool for verifying a security of this protocol, the result is able to confirm that a proposed authentication technique satisfies security properties and does not susceptible to principle attacks. Index Terms—Coloured Petri nets, CPN tool, secure authentication protocol, one time password, USB storage devices. Suratose Tritilanunt is with the Department of Computer Engineering, Faculty of Engineering, Mahidol University, Thailand (e-mail: suratose.tri@mahidol.ac.th). 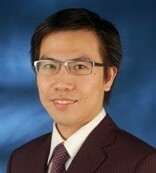 Cite:Suratose Tritilanunt, "Analysis of Authentication Protocol for USB Storage Devices Using Coloured Petri Nets," Journal of Advances in Computer Networks vol. 4, no. 1, pp. 58-63, 2016. Does the IEEE 802.15.4 MAC Protocol Work Well in Wireless Body Area Networks?